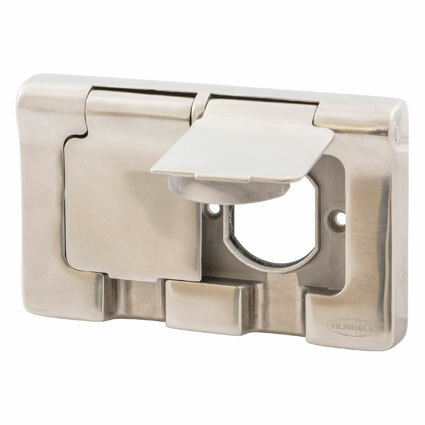 Hubbell Wiring Device-Kellems is excited to announce an industry-first series of fully weather rated stainless steel flip covers. These devices have a durable corrosion-resistant 316 stainless steel construction which provides superior protection to corrosive chemicals and environments, specifically in food or chemical processing, pharmaceutical and water treatment applications. The spring loaded covers ensure a complete seal when the cover is closed, and silicone gaskets withstand the harsh cleaning chemicals these covers are exposed to. The exterior laser markings also remove concerns for worn or damaged labels. Hubbell Wiring Systems is excited to announce a new interactive, 360-degree Healthcare eTour showcasing devices that can be deployed to support power, data, voice, and multimedia in healthcare environments. While virtually exploring the healthcare campus, users can view each highlighted Hubbell solution, including product benefits, features, and photos.